Can you get resveratrol's anti-aging benefits by putting it on your skin? Resveratrol, a natural antioxidant that is found in red wine and cocoa, has been lauded for its anti-aging benefits. In light of those claims, some companies are capitalizing on resveratrol's purported health benefits. Resvology, a skincare company, claims that their products have an ester form of resveratrol called resveratryl acetate that can smooth lines and wrinkles. Some spas including Les Sources de Caudalie in Martillac, France and Aire ancient baths in New York offer baths filled with red wine. The big difference is instead of taking supplements or drinking your way to youth, these resveratrol treatments supposedly work by soaking in through your skin. Could the secret to eternal youth be as simple as slathering resveratrol on your skin? Dr. Joseph Maroon, a resveratrol expert who wrote the book "The Longevity Factor: How Resveratrol and Red Wine Activate Genes for a longer and healthier life" and professor and vice chairman of the department of neurological surgery at the University of Pittsburgh, said to CBSNews.com that to understand how resveratrol works, you have to understand where it comes from. Resveratrol is a polyphenols antioxidant and one of 600 antimicrobial compounds known as a phytoalexin, which is produced by plants to protect them from adverse conditions including excessive ultraviolet light, infections and climactic changes. Earlier resveratrol studies have suggested the compound could bring health benefits. 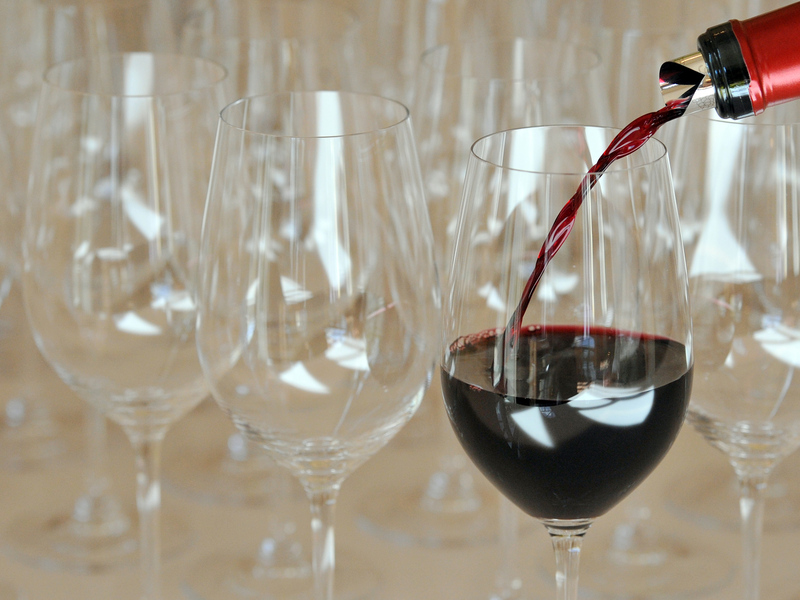 One 2012 study showed that when older laboratory mice with balance issues were given high doses resveratrol for four weeks, they were able to successfully walk across a balance beam (However, for humans to get that amount of resveratrol from drinking red wine alone, they'd need to consume about 700 bottles). Another July 2011 study suggested red wine could be "exercise in a bottle," because resveratrol countered the effects of inactivity in mice. Other mice studies have found resveratrol might protect against obesity and diabetes, reduce the risk for blood clotting, or reduce "bad" LDL cholesterol, according to the Mayo Clinic. Maroon explained that because resveratrol has the ability to dilate blood vessels, increase nitric oxide and block the stickiness of platelets, it is a good compound to target heart problems. But, while researchers haven't found any harm in taking resveratrol supplements, most of the resveratrol in the supplements can't be absorbed by the body, the Mayo Clinic pointed out. Compounding the issue, some resveratrol studies recently came into question last January after a preeminent resveratrol researcher, Dr. Dipak K. Das, director of the cardiovascular research center at the University of Connecticut, was accused of falsifying data. Research is limited when it comes to resveratrol's anti-aging benefits when applied externally on humans, but there have been some studies that suggest the compound could help skin. In one study published by the National Institutes of Health in 2005, resveratrol was applied to the skin of laboratory animals, who were then subjected to high ultraviolet radiation. Researchers found the compound protected the animals. "It was a very good sunblock," Maroon explained. "It might be the ultimate sunblock for both plants in animals. In animals, it was shown to help the prevent the development of skin cancer." Heather Hausenblas, an associate professor at the College of Health and Human Performance at the University of Florida in Gainseville, Fla., said to CBSNews.com that another recent study published in the Clinical, Cosmetic and Investigational Dermatology in Oct. 2012 showed that people who took resveratrol orally for more than 60 days had improvements in their skin. Their skin was more moist, less rough, had better elasticity, and participants' age spots had decreased. Another study, published in the American Journal of Clinical Dermatology in 2011 found that people who used a gel containing resveratrol on their skin for 30 days reduced acne by about 54 percent, according to a Global Acne Grading System (GAGS). "It does make intuitive sense (it would work on your skin)," she concluded. Hausenblaus emphasized the important thing to note about the studies is that the subjects took resveratrol for an extended period of time, not just did a one-time treatment. She likened it to taking prescription medication once over two weeks instead of every day: "You aren't going to see an effect," she said. "They were taking this for 60 days -- not just an hour in an expensive red wine bath," she added. "There might be some short-term effects, but a week later your skin's probably going to be back to what it was," she pointed out, adding that the level of resveratrol in the wine could also play a role in how beneficial the treatments could be. From what she knew about resveratrol, Hausenblaus would be open to buying skin cream with the compound even if science hasn't proven the topical application benefits just yet. However, so far studies suggest the best way to get resveratrol's supposed benefits is through other methods. "That would be my opinion. I'd rather drink it than pour it on my skin," Maroon stated.